The most important detail to notice is that Coded will be distributed from the Mobile Portal Site, as has been mentioned before, in episodes. Considering Mobile is currently a Japan only feature, the chances of Coded becoming available overseas seems slim. We'll keep you updated and watch for us over the next week as news from Tokyo Game Show 2008 pours in! There were 2 notebooks left recording their trips. 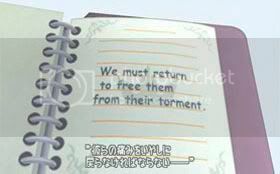 "We must return to free them from their torment." He could not remember the meaning of it. Therefore he went to the King to discuss it. "There is only one person who is qualified to solve this mystery!" 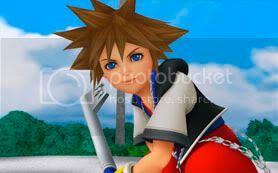 In order to solve the mysterious message left in Jiminy's Journal, Sora is the main character active in the data world. He is even transformed into data himself. In a few days the mobile portal site will open. Enjoy coordinating them in your own unique way! Among the town shops, of course there are item shops for avatars. You can even participate in special events, it's fully loaded with fun things! And ringtones from the melody shop are being prepared! Also, the distribution of Kingdom Hearts Coded is planned from here! Copyright ©Disney. Developed by SQUARE ENIX ©SQUARE ENIX CO., LTD. All Rights Reserved. 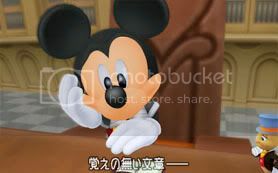 Discuss it in the KH Insider Forums!